Armed and ready, Aura nightclub kicked off 2017 with a slew of high-profile events when Super Bowl LI took over Houston. From T.I. to Migos, hip-hop heavyweights performed at the club during the sports holiday, which laid the groundwork for the venue’s most unforgettable year. In late spring, Rick Ross returned to Aura for the club’s three-year anniversary. 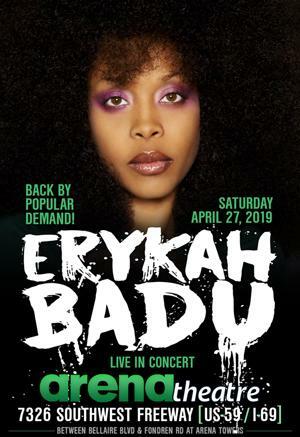 The rapper and mogul performed for a packed house as guests came to celebrate one of the most talked about venues on Washington Avenue. And by the summer, Aura dabbled in the continued dance music movement, with an appearance by the Grammy Award-winners Nervo. The Australian sisters brought their progressive house swag to 4701 Nett Street with a memorable DJ set and spontaneity that kept the venue lit ‘til last call. But Aura has always been home to the DJ with a diverse playlist and mixing skills to match. 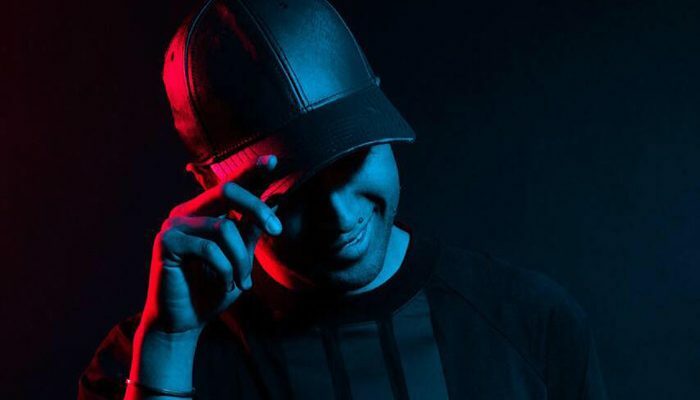 That’s why it’s no surprise that the venue is ending the year with the Miami-based DJ Crespo. Crespo will be spinning live for Aura’s NYE Gold event where champagne toasts and a midnight balloon drop are on the menu. Crespo is known for his open-format DJ style, so you can expect a variety of hits from Top 40, hip-hop and dance music. 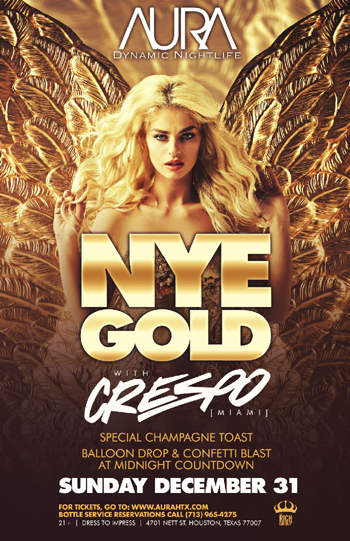 For more information on DJ Crespo, visit djcrespo.com, and visit aurahtx.com for the latest on NYE Gold 2018.